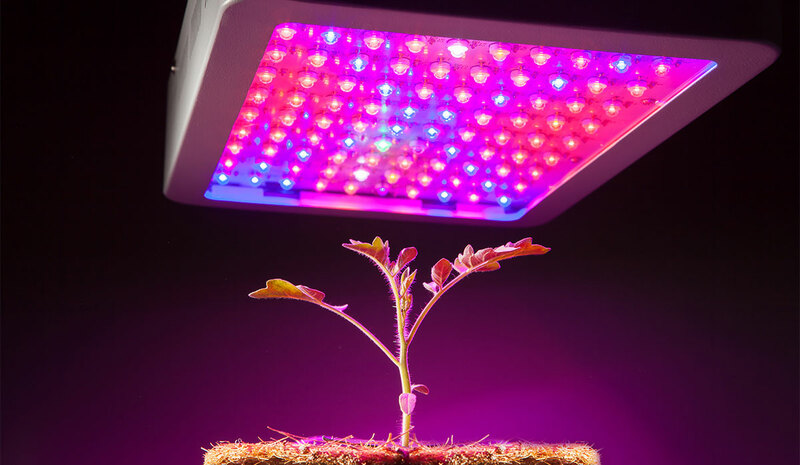 If you've ever seen modern LED horticulture lighting, you understand how it can be difficult to recognize color differences. Often these lights use more Blue and Red diodes since this is the part of the light spectrum that plants use for photosynthesis. Besides making it more difficult for humans see, this unnatural lighting makes it more difficult to recognize yellowing which is one way plants show stress. While there exists pricey eyewear for color correction. With the camera feed in our plant monitor/controller, a more natural approach would use computer vision. Color temperature correction requires some manual manipulation. I had a hunch that this task might be performed in an automated way with cycleGANs after seeing the impressive work around image superresolution. 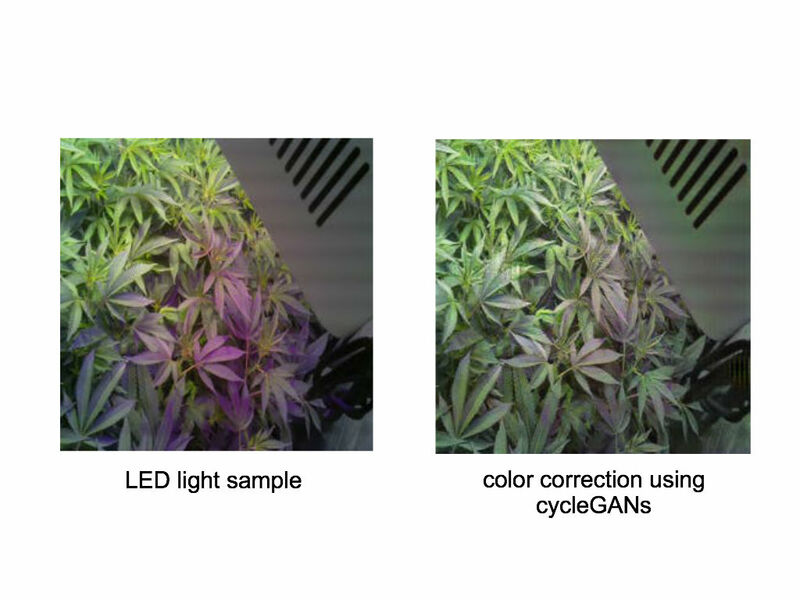 Indeed, by curating an image corpus of greenhouse photos, both under unnatural color temperatures produced by LED/HPS lighting as well as images under a natural white light, I trained a cycleGAN to automatically learn a curve filter for automated color correction. We obtained reasonable results for another application of this powerful technique. By approximating this learned curve filter, we could create a look up map with opencv for fast color temperature correction.